Your GO-RIDE ordering experience is now faster and easier. We can help you find a driver in just a few clicks. 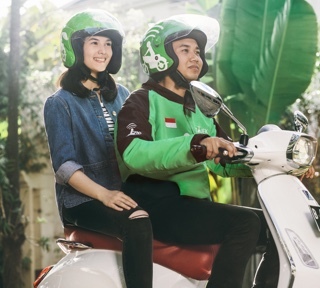 With the highest number of partners in Indonesia, our drivers are ready to take you anywhere, anytime. Our driver will always ensure that you feel safe and comfortable while traveling with GO-RIDE. No need to worry about getting the right change or not having enough cash. 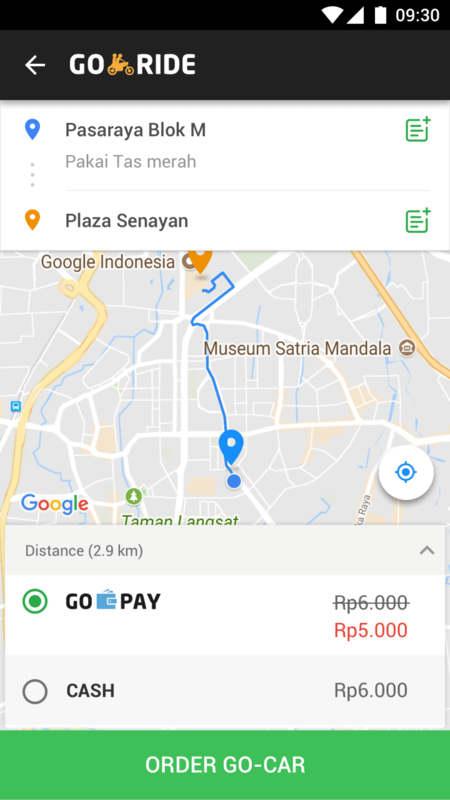 GO-PAY offers such a convenient transport experience. 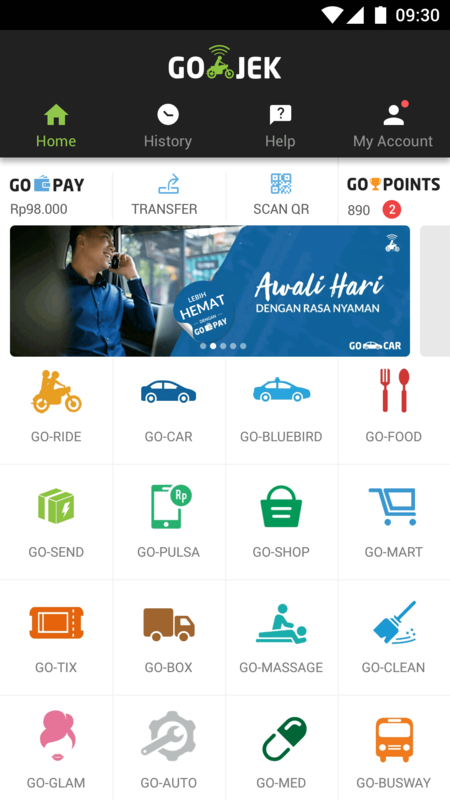 Top up your GO-PAY balance easily and instantly from ATMs, or by mobile banking or internet banking. 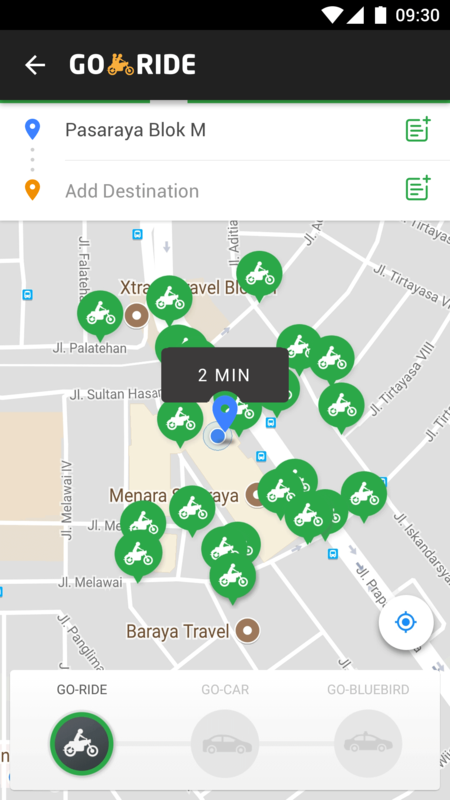 1.Select GO-RIDE from the GO-JEK application. Your current location will automatically be your pickup location. 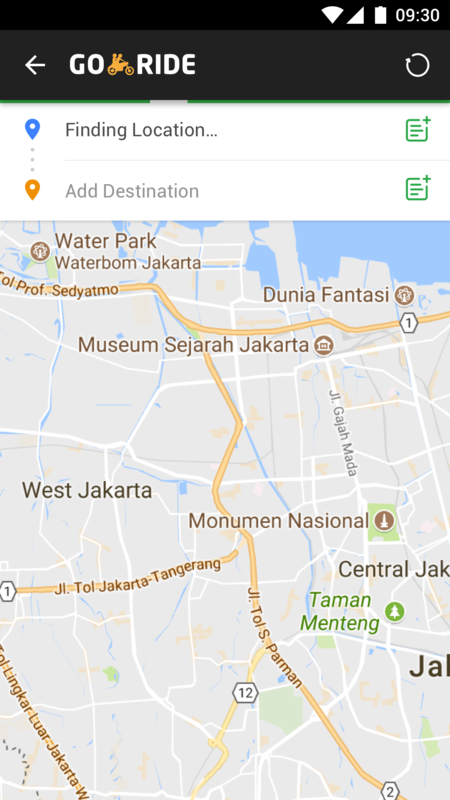 2.You can change the pickup location by moving the location pin on the map. 3.You can change the pickup details by clicking on the notes symbol in the upper right corner. 4.Select your payment method: CASH or GO-PAY. Then click on ORDER to find a driver. 5.When you have found a driver, you can see his/her current location on the map, and contact him/her via text message or phone. 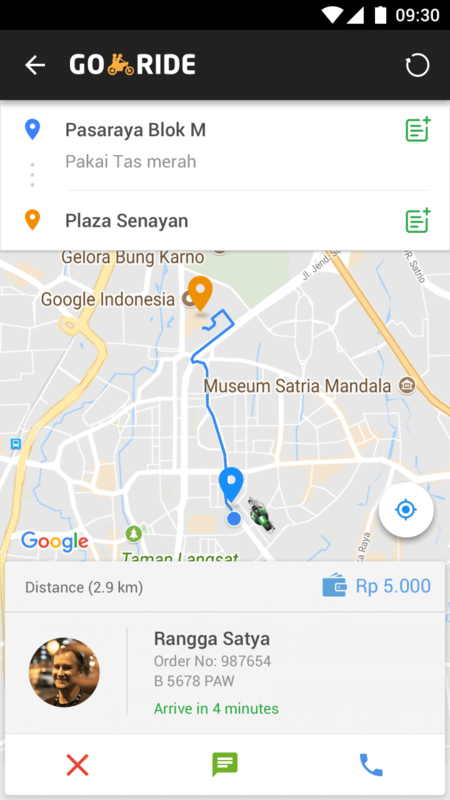 6.Once you have reached your destination, rate your driver according to your satisfaction level. 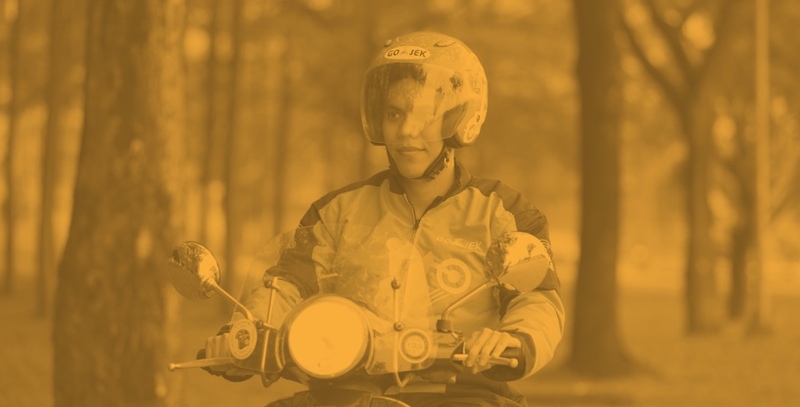 Click on the link below to find out more about GO-RIDE, or get in touch using the contact information. Join our team of over 400,000 drivers, and transform each kilometer you go into limitless income.